ATALIAN Global Services Myanmar is capable offering an integrated security solution and has partnered exclusively with MAC Security to provide the security solutions detailed below. For more information and to request your personalized threat assessment, visit MAC Security website. 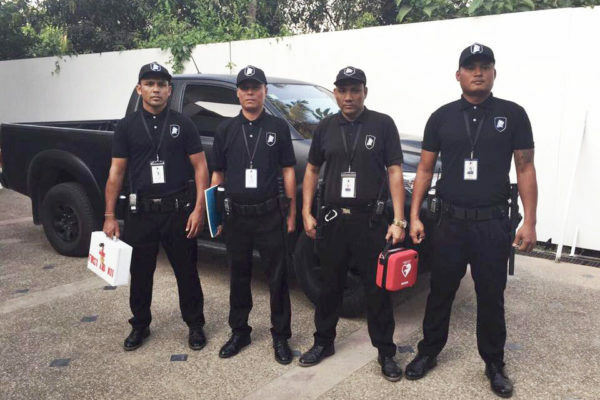 MAC Security services ensure your comfort and safety while in Myanmar, through dedicated protection: static security guards, close protection and emergency alarm and response. Utilizing our preferred provider of static security guards, MAC Security, we enhance the protection with additional layers of monitoring by our patrolling response teams acting as third-party mobile supervisory, and with our security liaison officer. 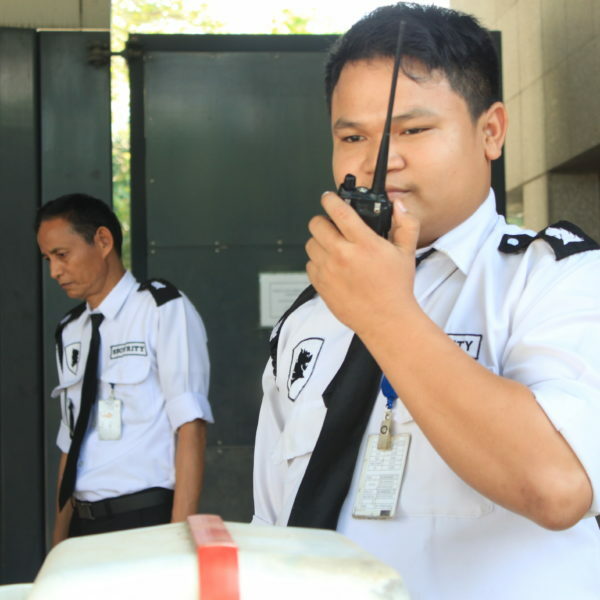 ATALIAN Global Services Myanmar supplies static security guards, or duty officers, through MAC Security. You can then add up to five main components to enhance the static guard protection to your premises. Utilizing our home and office alarm emergency response teams which are vehicle-based and positioned near our clients, we will provide third-party mobile supervision of the guards to ensure they are awake, alert, and dutifully protecting your concerns. MAC Security can deploy a radio-identification (RFID) patrolling system and monitor this system in real-time to ensure that perimeter patrols by your static guards are occurring. Additionally, if a patrol is missed the emergency response team will be dispatched to check on the premises. MAC Security can provide your organization with a dedicated, bi-lingual, local or expatriate security liaison officer or security manager. This person will manage and continually train your static guards, communicate directly with the security company for disciplinary issues, and provide direct third-party supervision. Is your organization prepared? When a medical emergency occurs your employees can respond quickly, confidently, and properly while emergency medical services are en route. 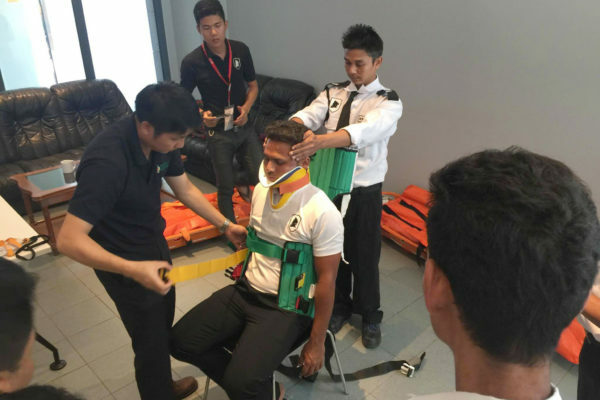 Emergency First Response Training provides your organization and its security guards with critical lifesaving skills that provide insurance and protection to your organization, your customers, the broader community, and to your employees’ families. Fire Extinguisher Training services will help ensure that your security guards have the confidence and skills necessary to take action should a fire occur at your facility. A small investment in your people’s fire-fighting capabilities could make the difference to the security of your premises, people, and equipment. When a fire occurs, your security guards will know the location and use of each piece of your fire equipment. Instead of relying on intuition, your guards will have the memory recall of their training thereby increasing the response time and potentially avoiding a catastrophe.